What is the correct time for one to increase life his/her insurance coverage? One viable option to increase insurance policy coverage is to purchase additional policies. In general, the usual trend is that the earning member or breadwinner of the family gets a life insurance done and includes/nominates family members. However, some people also purchase insurance as an investment or for tax saving purposes. This often results in the insurer buying a policy that does not give him adequate coverage. Therefore, it is essential for the person purchasing the insurance to get the evaluation spot on before looking at other key aspects such as the policy’s performance. When should one increase his/her life insurance coverage? In general, the most important events that underpin financial decisions in India include higher education and marriage. The spouse or any other dependent needs financial security; thus, re-evaluation of an insurance policy becomes essential in this context. In case of death of the insured person, his or her family would receive the maturity amount, which would help them lead a comfortable and a financially secure life. Another important event that figures high in the pecking order of any person’s financial/investment paradigm is the birth of a child. Most parents purchase an insurance policy to fund the child’s education or marriage; suffice to say, even these plans would need periodic re-evaluation. How should one plan an increase in life insurance coverage? 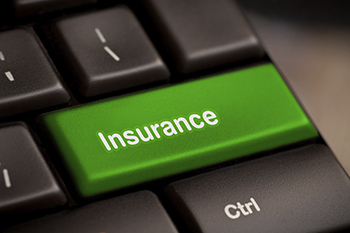 One viable option to increase insurance policy coverage is to purchase additional policies. Another alternative is to give up the existing policy for a new one that offers enhanced coverage. Going for a new option might not always be the option that best fits your requirements. The devil lies in the details; compare the premiums of the new policies you seek to purchase with your old policy for the before making an investment decision. Thus, one must carefully and err on the side of caution when it comes to increasing the existing insurance coverage.